Our offices in Wilmington are located in the CresCom Building at 115 North 3rd Street. We invite our guests to park in the 2nd Street Parking Deck. 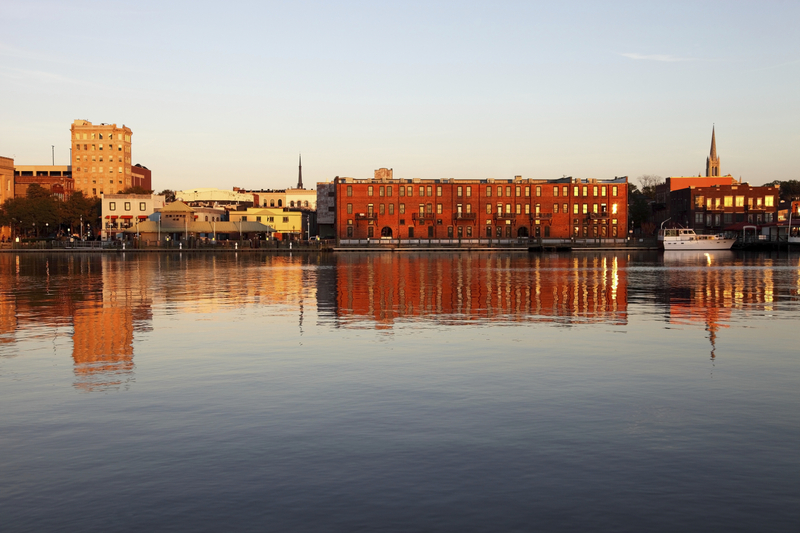 The lovely port city of Wilmington boasts North Carolina’s largest National Register Historic District. It has a vibrant entertainment industry, which takes full advantage of the area’s natural beauty. But the real secret to Wilmington isn’t where to get the best seafood, which beaches are best for surfing, or what happens before the Azalea Festival each year. What most people don’t know is that Wilmington is a wonderful place for business. The secret is out, thanks to NerdWallet. In April 2015, the financial planning website ranked Wilmington as the second best city in the United States to start a business, behind Boulder, Colorado. That wasn’t news to Brooks Pierce. Our Wilmington office attorneys work with entrepreneurs and established firms, and are active in several community enterprises. Cross the Cape Fear River into Wilmington on the Cape Fear Memorial Bridge. Turn left onto S 3rd St. (follow signs for US-17 N/​Downtown). In ~.8 miles, you will find us located in the CresCom building on the left. As you enter Wilmington, turn right onto Martin Luther King Jr. Pkwy (US-74 West). In ~5 miles, keep left towards to merge onto N 3rd Street (follow signs for Wilmington Downtown). In ~1 mile, you will find us located in the CresCom building on the right.